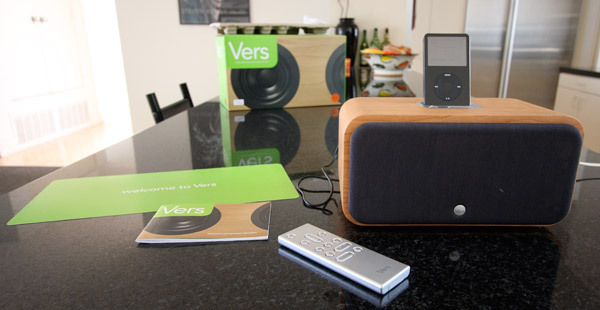 Ready to get up close and personal with the Vers 2x wood ipod speaker system i wrote about earlier? Well they sent a sample over, and i had the pleasure of playing with it, and as a product i’m smitten with their attention to details… things you don’t see in their product shots? 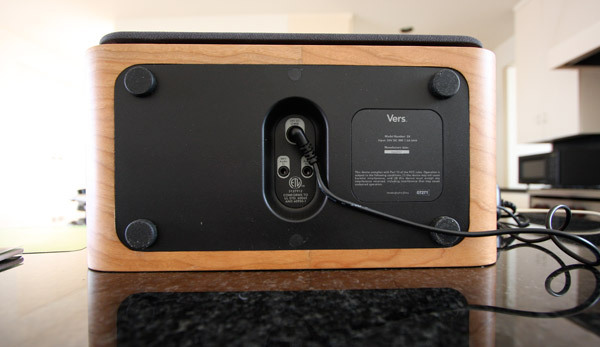 The gorgeous circular designs on the speaker cover ~ the way they run their wires under the unit ~ just how beautiful it really is to have a nice woody speaker amongst all the plastic and metal tech that surrounds us… It’s currently on sale at places like Target and Amazon for $179. Anyhow take a look below for a slew of close ups. 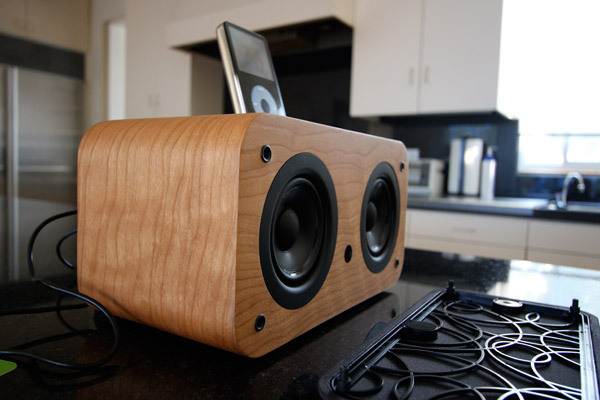 Here’s the first impression shot of what you get after plugging it in… LOVE how pretty the cherry wood is. 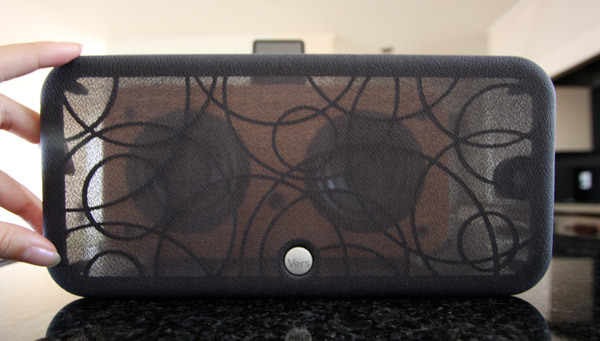 Perhaps my favorite part of the Vers… how fun all those circular patterns on the speaker cover? … and how beautiful it looks without it? Brilliant that they keep wires from hanging out of the front, back, sides… instead everything plugs into the bottom, and the feet are just tall enough to let the wires barely clear underneath without having them get crimped. 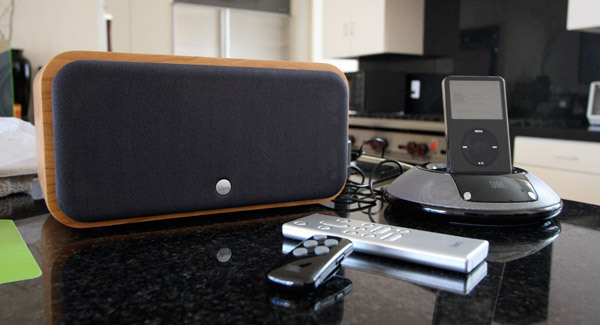 Here’s where the power plugs in… as well as the audio in (for your mp3/phone uses) and audio out. 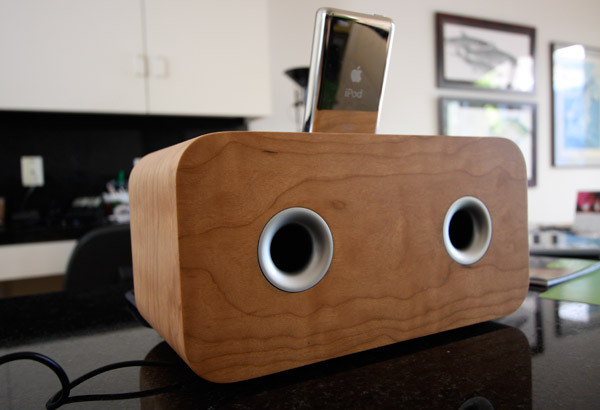 The top ~ in addition to the many docks you can slip in to fit your ipod devices perfectly are the power and volume buttons… the design is clean, but the style and quality of it didn’t match quite as well as i’d expected. 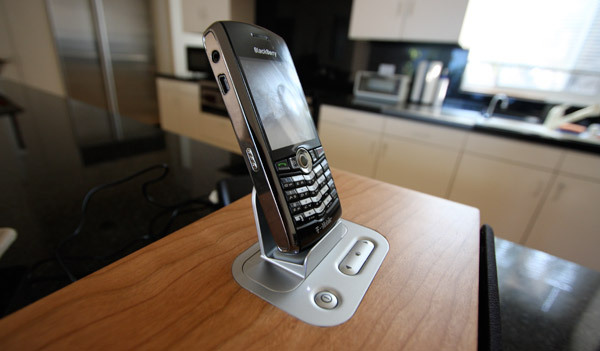 There is even a dock that will hold phones, mp3 players, whatever you feel like using it for. Also just a random note: it doesn’t take your usual AAA batteries, etc. Keeping it nice and super thin. Just a quick peek into the manual… here’s the content listing. I use the JBL OnStage Micro II when running around… and i’m sad to say, it felt like the sound on the JBL sounded better to me (and i’m not exactly an audiophile.) 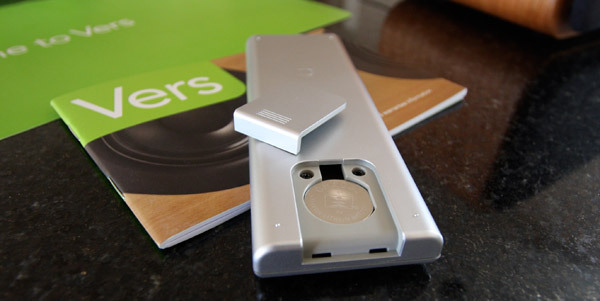 BUT i do like the attention to details in the design of the Vers, it’s a beautiful piece of wood. 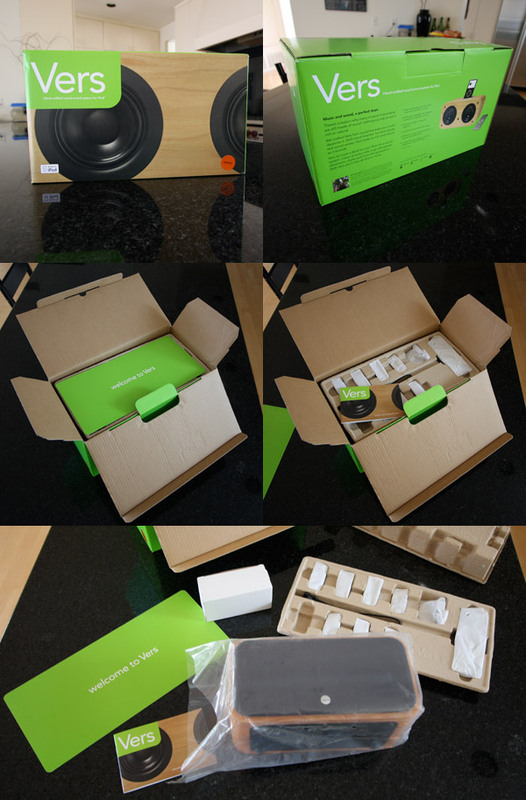 I got one for my birthday - the sound is great, more then I expected from such a compact little system. 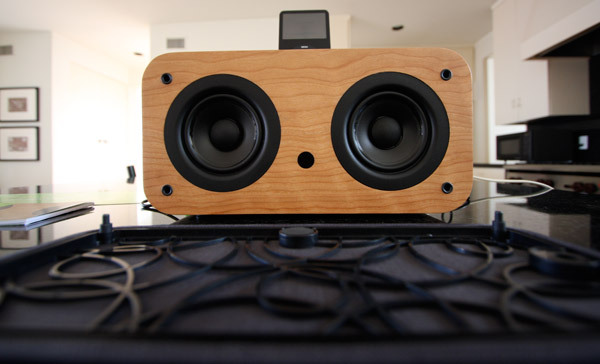 I liked it for the wood, but the sound is the best part for me. all very nice except the one thing not really dicussed here is WHAT DOES IT SOUND LIKE??! Actually, the Tivoli has an AUX jack so it will accept an iPod. Or any other MP3 player. 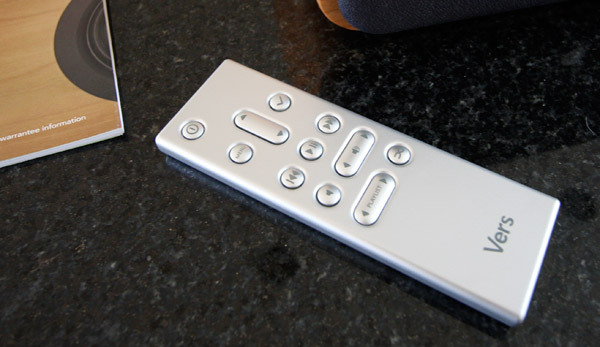 I’m using mine with a Roku Soundbridge. 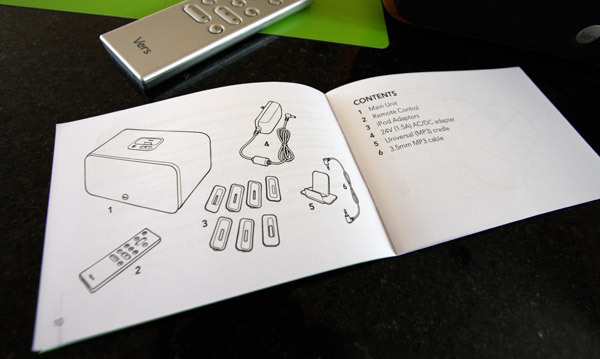 The Vers website says it has 3.5mm (headphone) input and output jacks so with the right cable (3.5mm-3.5mm) you should be able to hook your headphone out or audio out jack from CD player to the Vers 2x. It remains gorgeous. Does it have ports to plug, say a CD player or radio in?